There are only a few times in life where pure awe will overcome someone. 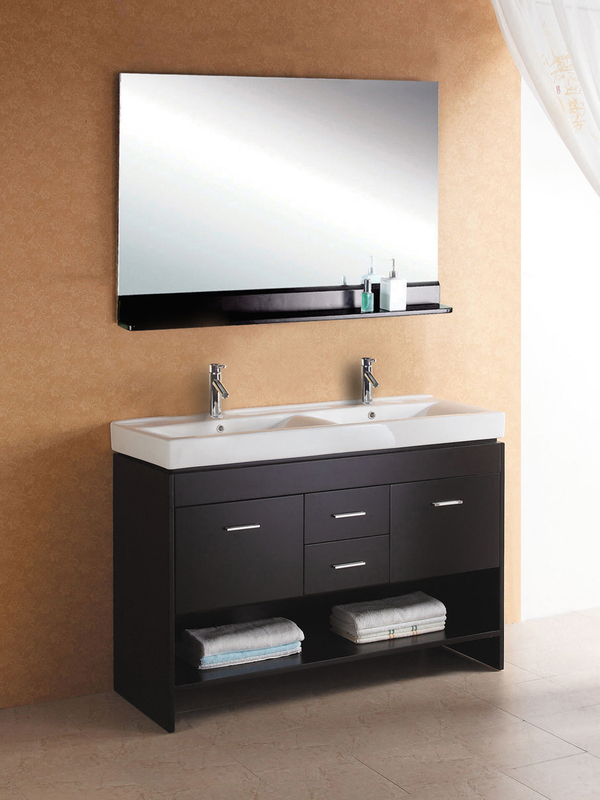 The 47.25" Gloria Double Vanity is a great looking modern double vanity that can do that to you. 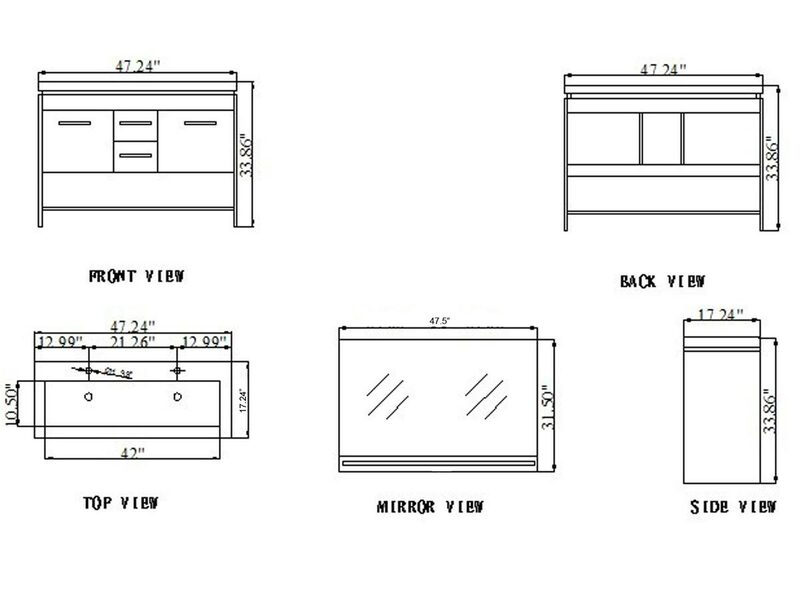 This vanity includes 4 drawers in the main unit, two large sink basins with included customizable faucets, a small shelf below your drawers to hold your bathroom toiletries, and the large mirror that gives the Gloria its iconic modern design. 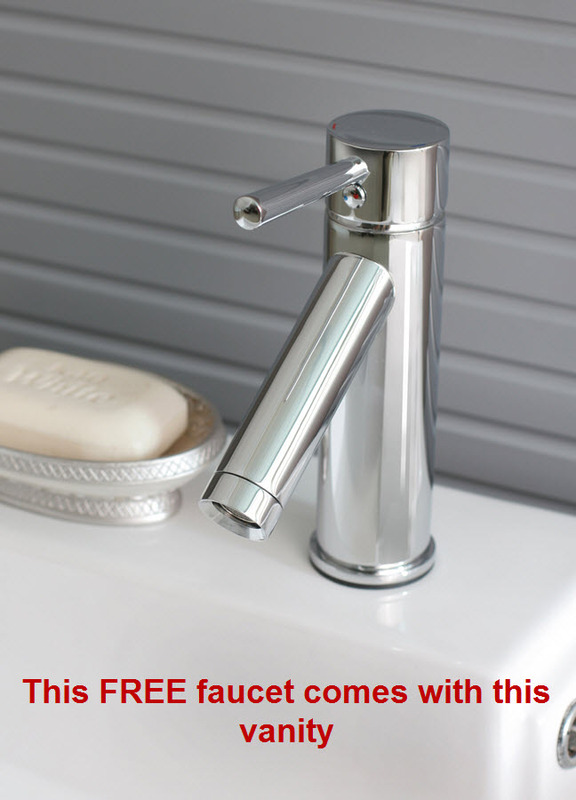 Installing this vanity is very simple to do with clear product instructions. 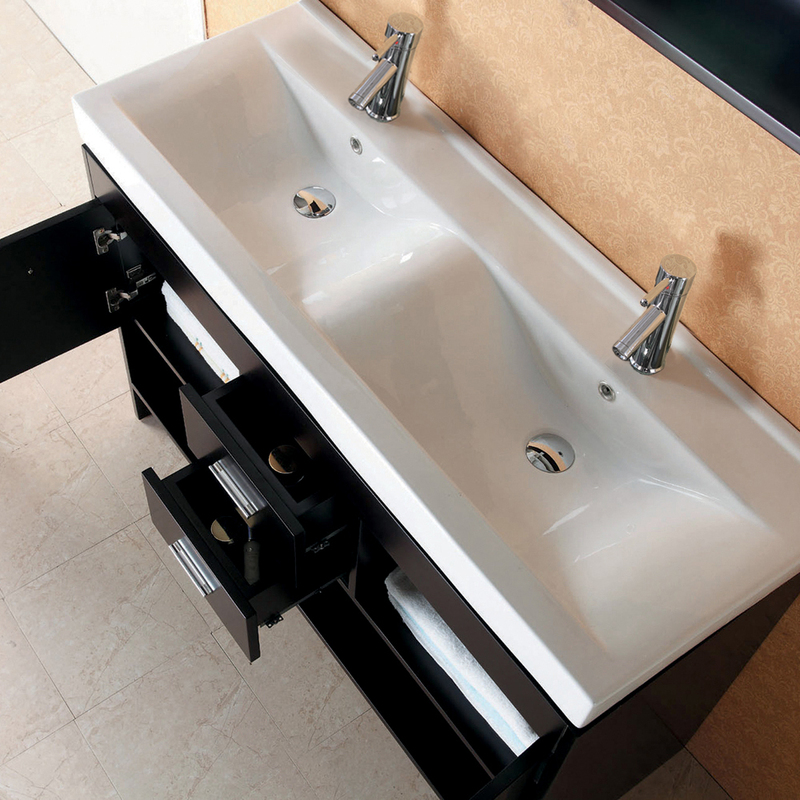 The dual mirror is large enough to provide a full reflection above both sinks. Disappointment not included with purchase, get yours today!